Limited Edition.Hand painted. Does not come with the car shown. Ford Service Centers provide the finest in care for your Ford vehicles. 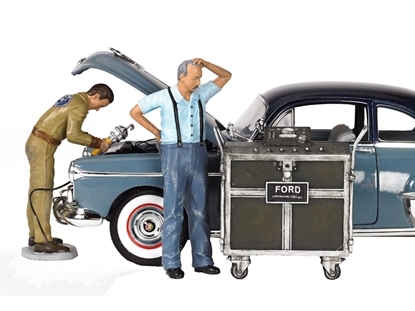 These three gentlemen worked for Ford around 1945, when Ford led the way to the future with the Ford Laboratory mobile electronic diagnostic set. 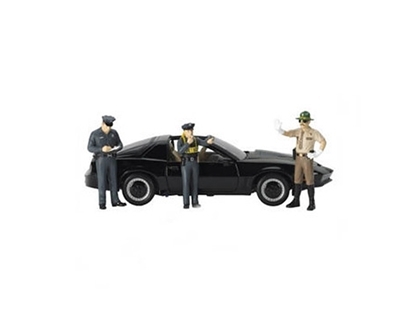 Cecil is bent over the engine with a Our exclusively licensed 18 scale set of Ford Figurines continues our brand new line of product from your premiere source of accessory figurines - Motorhead Miniatures. 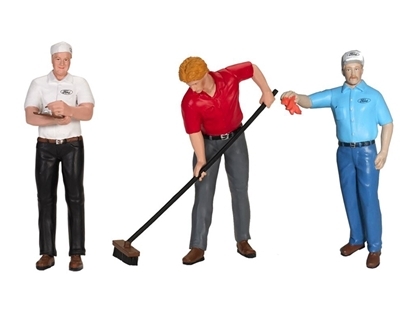 Authentically reproduced and meticulously finished, Ford Figurines from Motorhead Mini When Ford approved Motorhead Miniatures to produce figurines under the Ford brand, they proved once again the old slogan -Ford Has A Better Idea! Limited Edition.Hand painted. Dimensions approximately 4 inches tall.